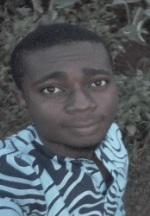 Tony Obande Itodo is currently studying for Bachelor’s Degree in Project Management Technology at the Federal University of Technology Akure, Ondo State, Nigeria within the academic year 2014-2019. To see more background information, click here. Share the post "Tony Obande Itodo"